LOUISVILLE, Colo., March 7, 2017 – Inovonics announces the release of its new EN7017 survey kit and app to give security dealers and integrators a tool to help them quote wireless jobs. 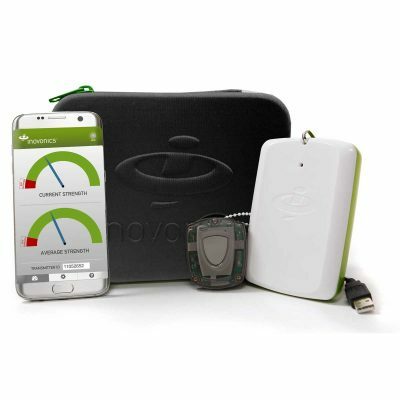 The EN7017 survey kit and app provides security professionals with a wireless blueprint in advance of installing devices, allowing the quick preparation of accurate quotes, assuring them that the system quoted will perform as designed and allowing end customers to see the range and coverage Inovonics provides. The EN7017 survey kit and app consists of three components: An EN1223SK survey transmitter; a portable, Bluetooth-enabled, battery-powered EN4017SK survey receiver; and an app allowing you to use your Android or iOS mobile device to monitor Inovonics performance in real time. The survey kit is also compatible with the EN1210SK.